Monday night, when the Parallel Wunder Under Crops were uploaded to the US side, they were immediately sold out of size 10 & 12’s. Strangely, I got a message from an anonymous reader which reassured me that the crops where at one point uploaded in full size run, a few minutes before the rest of the upload, and those two sizes sold out right away. Many have speculated since then that their stores have only gotten the pants up to size 8, and there have been a few rare sightings of size 10’s. 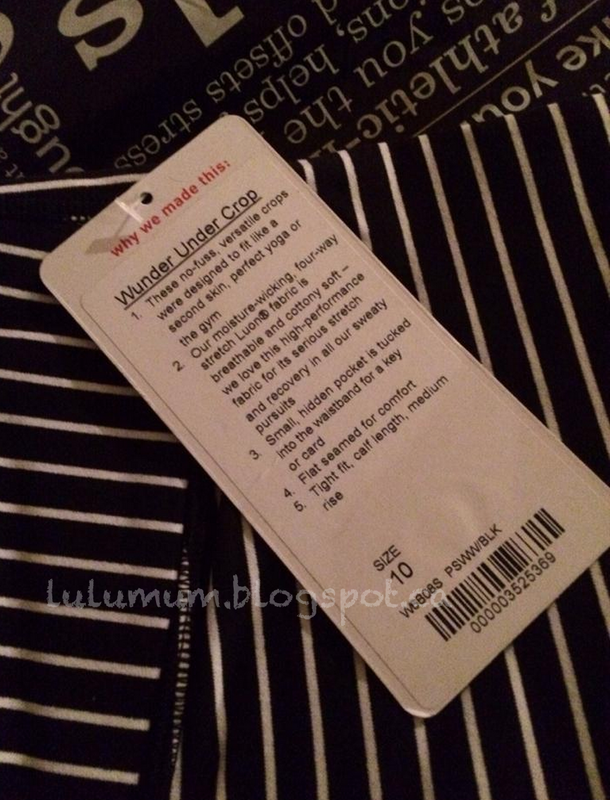 I’m wondering if perhaps there were production issues with the Wunder Under Crops in this colorway and that is why we are only seeing a few size 10’s pop up, and Canada never got them uploaded at all in any sizes. When you search ebay for these crops, there are 105 results for them yet none of them are size 10 or 12. Unfortunately, my store sold out of these completely since yesterday, probably due to both large quantity angeling and some ebayers. I know on upload Monday, many people ordered multiples of these pants since they knew they would sell out right away, and that really is unfortunate for the people that were hoping to order ONE pair of pants off the website. That resulted in incomplete transactions and holds on peoples funds as the orders where processing slower than the inventory dwindled. If you have second thoughts about the Parallel Wunder Unders or accidentally got more than one completed transaction from the upload glitch and you want to pass them off to someone here, feel free to post them in the comments section of this post. "12 Days Of Christmas: Day 6 – June"